Need to Increase Pressure on Lawmakers to Change Unduly Punitive Deportation Laws. When Barack Obama ran for his first term in 2008 , immigration reform is one of the more prominent platforms he ran his campaign on. However, as the following New York Times article discussed, the number of deported aliens has actually increased during the Obama Administration. The following article was Published in the New York Times on April 6, 2014. But a New York Times analysis of internal government records shows that since President Obama took office, two-thirds of the nearly two million deportation cases involve people who had committed minor infractions, including traffic violations, or had no criminal record at all. Twenty percent — or about 394,000 — of the cases involved people convicted of serious crimes, including drug-related offenses, the records show. Deportations have become one of the most contentious domestic issues of the Obama presidency, and an examination of the administration’s record shows how the disconnect evolved between the president’s stated goal of blunting what he called the harsh edge of immigration enforcement and the reality that has played out. Mr. Obama came to office promising comprehensive immigration reform, but lacking sufficient support, the administration took steps it portrayed as narrowing the focus of enforcement efforts on serious criminals. Yet the records show that the enforcement net actually grew, picking up more and more immigrants with minor or no criminal records. Interviews with current and former administration officials, as well as immigrant advocates, portray a president trying to keep his supporters in line even as he sought to show political opponents that he would be tough on people who had broken the law by entering the country illegally. As immigrant groups grew increasingly frustrated, the president held a succession of tense private meetings at the White House where he warned advocates that their public protests were weakening his hand, making it harder for him to cut a deal. At the same, his opponents in Congress insisted his enforcement efforts had not gone far enough. Five years into his presidency, neither side is satisfied. 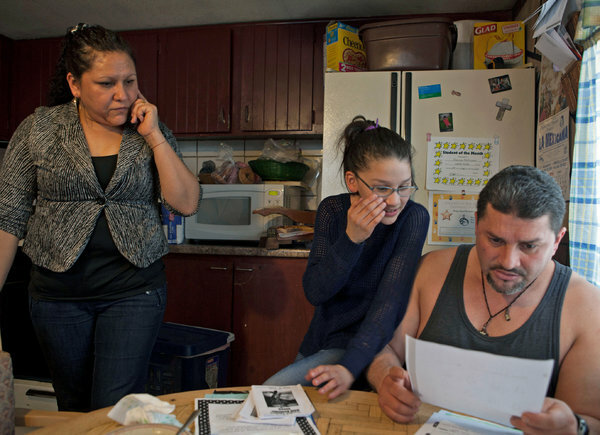 Various studies of court records and anecdotal reports over the past few years have raised questions about who is being deported by immigration officials. The Times analysis is based on government data covering more than 3.2 million deportations over 10 years, obtained under the Freedom of Information Act, and provides a more detailed portrait of the deportations carried out under Mr. Obama. The demographics of those being removed today are not all that different from those removed over the years. Most are Mexican men under the age of 35. But many of their circumstances have changed. The data also reflect the Obama administration’s decision to charge immigration violators who previously would have been removed without formal charges. In the final year of the Bush administration, more than a quarter of those caught in the United States with no criminal record were returned to their native countries without charges. In 2013, charges were filed in more than 90 percent of those types of cases, which prohibit immigrants from returning for at least five years and exposing those caught returning illegally to prison time. Republicans immediately pushed back, warning that the changes he had already made had weakened enforcement. Despite the record deportations, they said his shift in emphasis to the border had resulted in a decline in the removals from the interior of the country — a trend borne out by the records. And while immigrant advocates and some leading Democrats are outraged by the administration’s policy of penalizing illegal entry at the border, many Republicans have accused the administration of using those cases to inflate its deportation numbers. The information on 3.2 million cases, obtained from Immigration and Customs Enforcement, or ICE, log every removal handled by the agency but do not provide enough information to determine which cases represent repeated deportations of the same person. 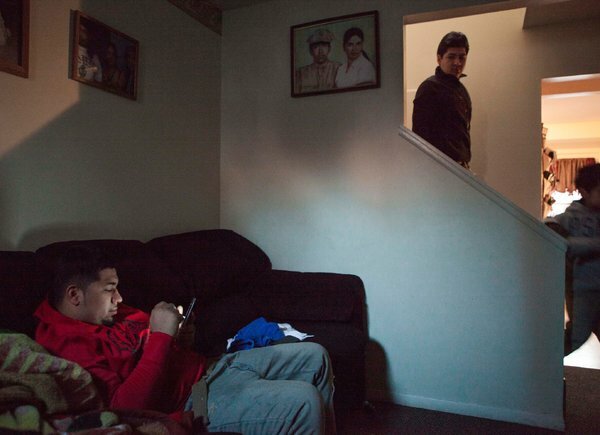 In places like Painesville, Ohio, a small town on the shore of Lake Erie sustained for decades by immigrants who work in greenhouses and factories, the spate of deportations has been felt one person at a time. Anabel Barron, who has lived in the United States for nearly two decades, was facing deportation after being stopped for speeding and driving without a license. Her record showed that she had been removed previously and she said she returned to be with her four American-born children. At a regular Tuesday night meeting of immigrants at a converted church, she was fretting about her coming hearing. Deportations began rising sharply in the final years of the Bush administration. Having failed to win comprehensive reform in part because opponents argued that sufficient progress had not been made in securing the borders, that administration undertook a sweeping immigration crackdown. It stepped up military-style raids on factories and farms and granted local police the authority to check the immigration status of foreigners they suspected of being in the country illegally. Deportations reached 383,000 in 2008. Congress supported the moves, doubling the immigration agency’s budget to $5.5 billion in 2008, and imposed a mandate that required the immigration agency to detain a daily average of 34,000 immigrants. Mr. Obama attacked those policies during his 2008 campaign, saying, “When communities are terrorized by ICE immigration raids, when nursing mothers are torn from their babies, when children come home from school to find their parents missing, when people are detained without access to legal counsel, when all that’s happening, the system just isn’t working.” He criticized his Republican opponent, Senator John McCain of Arizona, for abandoning the push for immigration reform when it became “politically unpopular,” and promised to make it a priority in his first year in office. Immigration officials set a goal of 400,000 deportations a year — a number that was scrawled on a whiteboard at their Washington headquarters. The agency deployed more agents to the border, according to several former immigration officials, where finding and removing illegal immigrants is legally and politically easier. The administration attempted to tread more carefully in the interior of the country, where illegal immigrants have typically been settled longer. It ended the worksite raids and rolled back the local police’s broad discretion to check foreigners’ immigration status. Instead, it expanded a pilot project started under Mr. Bush that required the state and local police to check everyone fingerprinted during an arrest.